The cost of rural crime in the UK has soared to its highest level in four years, with a report published today showing the cost totalled £44.5 million last year. In its 2018 Rural Crime Report, published today (August 6), rural insurer National Farmers’ Union (NFU) Mutual looks at the impact of crime on rural communities across the UK. With an increase of 13.4% on the previous year, it is rising at its fastest rate since 2010. 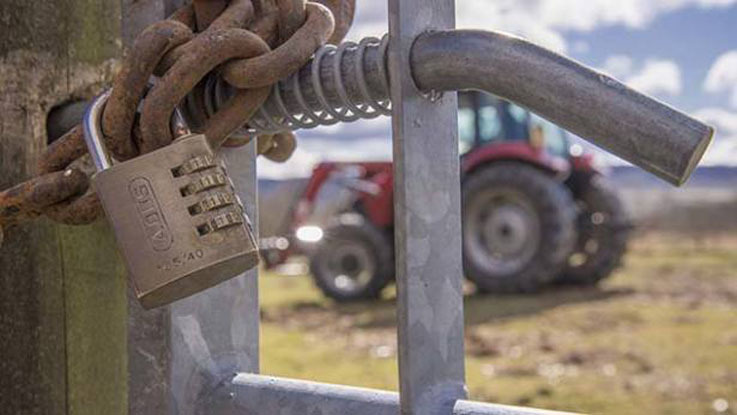 Across the UK, the cost of rural crime has risen most sharply in Wales, where it is up 41% on the previous year, followed by the Midlands which is up 32%, while the South East has seen a rise of 30%. The cost of rural theft in Scotland has fallen 3.8%, while the North East is the only English region showing a fall, down 6.5%. The report reveals that farmers are putting up earth banks, dry ditches, stockade fences and high-security single access points to fortify their farms against criminals who often use 4×4 vehicles to get onto farmland and evade police. Protective animals such as geese, llamas, and dogs are reportedly also being used to provide useful low-tech alarm systems. 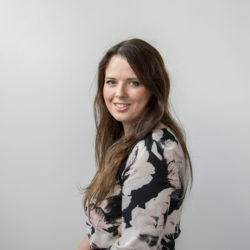 “Faced with repeated and determined attacks from a new breed of brazen thieves, farmers and country people are turning to history books to re-purpose security measures from medieval times,” said Tim Price, rural affairs specialist at NFU Mutual. “Adapting centuries-old security with high tech solutions is already proving successful in keeping at bay thieves who don’t fear being caught on camera and have the skills to overcome electronic security systems,” he said. Farmers are also using high-tech tracking devices and immobilisers on vehicles, CCTV video, dashcams, motion sensors, infra-red surveillance and SmartWater marking in their farmyards and even DNA markers to protect sheep from rustlers. “With police facing huge challenges – including budget cuts and extra workload – forces are finding it hard to resource rural policing and this may be one of the reasons for the rise in thefts we are seeing,” said Tim Price. However social media is fast becoming the new eyes and ears of the countryside, strengthening the community ties that help in the reporting and recording of crime and bringing thieves to justice. As the main insurer of the countryside, NFU Mutual has responded to its members’ concerns and has invested more than £1.2 million to tackle the menace of rural crime. 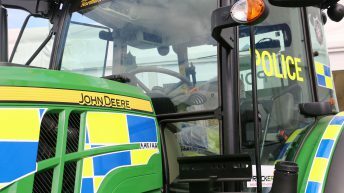 For seven years NFU Mutual has funded a specialist agricultural vehicle police officer through the National Vehicle Crime Intelligence Service for the good of the farming industry, coordinating farm machinery theft information between police forces, Border Force and Interpol. NFU Mutual is also one of the key stakeholders with the Plant and Agricultural National Intelligence Unit.